Ronnie is an extraordinary enterpreneur who aims to bring multiple solutions in the engineering, sceince and technology fields. 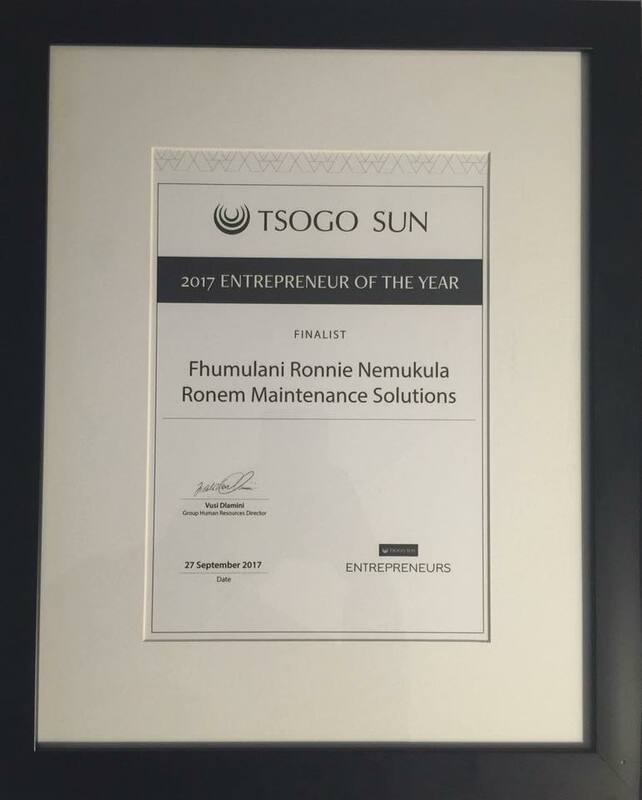 Ronnie has been a finalist in the Tsogo Sun Entrepreneur of the year 2017, after showing off his best entrepreneurial skills. He continues to bring innovative business solutions for Ronem Maintenance to improve customer satisfaction and dynamic service delivery. We understand that growth in business is not only measured by how much we have done to improve our service but also how much improvement we have brought to customer's business needs. Take time to go through our gallery to see the clients we have serviced.